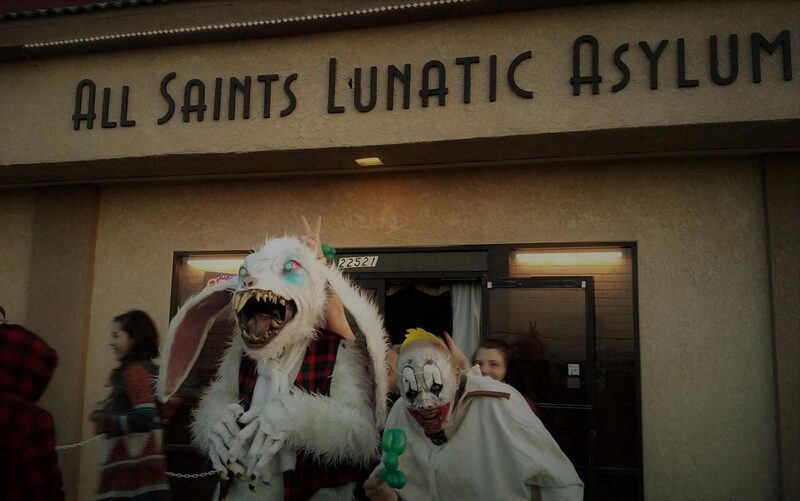 For what is basically a do-it-yourself, community effort, the Burbank Haunted Adventure comes close to being spectacular. Yes, the "hallways" consist mostly of tarp, but the Burbank Parks and Recreation Department's Halloween attraction has the good fortune to be set in and around the Starlight Bowl in the Stough Canyon Nature Center. The available space is expertly exploited: the dimly lit woods hide strange and forbidding things; the exterior features booths which can be filled with ghastly, living displays; the interior of the dome offers an eerie simulation of a starlit sky; the back stage area provides a variety of actual rooms and corridors that can be decorated instead of being built from scratch, lending an aura of reality to the proceedings. Overall, there is much more production value than seen at most community center haunts. 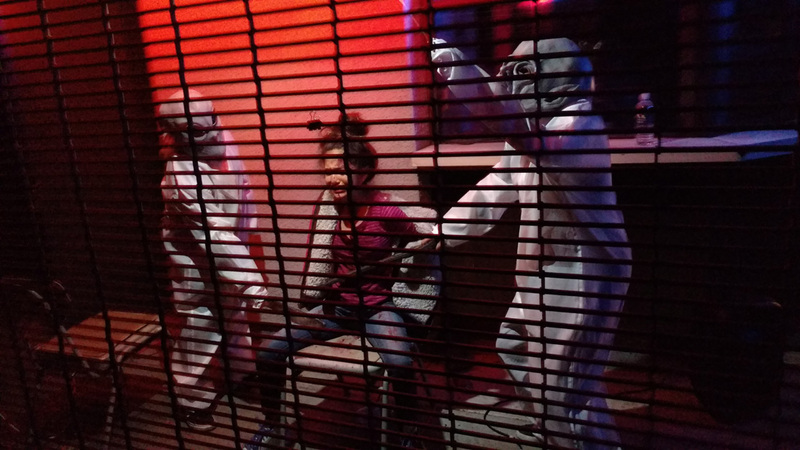 Of course, a good venue is not enough; fortunately, Burbank Haunted Adventure offers more than enough imagination and enthusiasm to infuse the location with enjoyable frights, creating a 13-minute walk-through that never feels stretched thin. 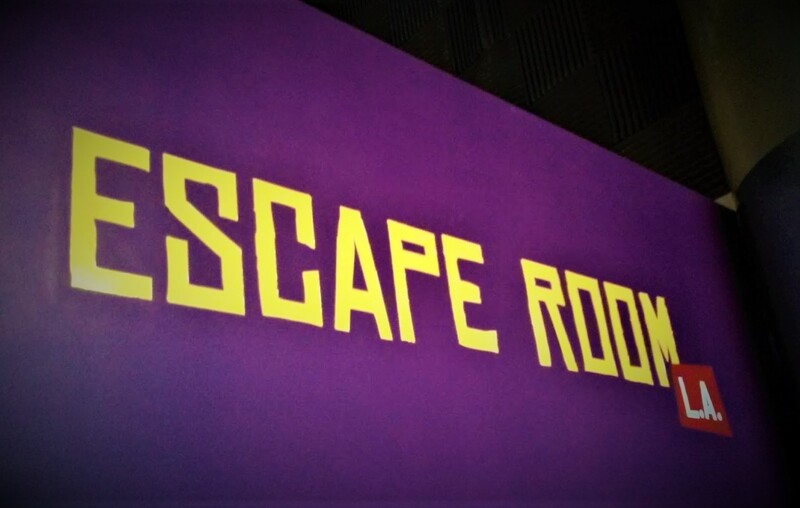 In fact, part of the fun is that it seems to just keep on going, taking you inside and outside the bowl - and then when you think you're done, taking you inside again (while helpful guides mockingly warn that the worst is yet to come). Burbank Haunted Adventure changes theme from year to year; for Halloween 2016 - the haunt's 20th anniversary - the title is "The Unknown," which turns out to be a grab bag of different ideas, starting with a walk through a camp bedeviled by a killer bear. Moving inside and leaving nature behind, the haunt offers a variety of ghastly vignettes, inspired by The Exorcist, Psycho, and American Horror Story. (The linking conceit is that you are walking from stage to stage, where the productions are being filmed.) Finally, back in the open there is a dramatically enacted alien abduction, complete with flying saucer, which leads to some kind of observation center, where the unfortunate victims can be seen while the brutal experiments (yes, involving alien probes) are performed on their bodies. Typical for a community Halloween event, Burbank Haunted Adventure relies largely on store-bought masks, costumes, and decorations; fortunately, they work very well in the dimly lit environment. There is also some very impressive makeup work, and some of the apparitions are quite clever in their manifestation, including one so well camouflaged that she was virtually invisible until she rose from the floor just before we stepped on her. Some simple but clever touches yield impressive results, such as substituting a form of translucent plastic wrap in place of tarp in one section of the maze, giving visitors a chance to see hazy silhouettes of the blood-stained activity within. Burbank Haunted Adventure is calibrated for the local community. At the bottom of the hill, near the parking lot, are food trucks and ticket booths; costumed kids (and some parents) dance to Michael Jackson's thriller, which pretty much sets the tone: scary, but not too scary for trick-or-treaters, this is a family-friendly Halloween event. If you are a parent wondering where to take your kids since the Los Angeles Live Steamers Ghost Train is not running this year, Burbank Haunted Adventure may be what you seek (though we would not recommend it for the very young or the very timid). This haunted adventure may lack the bells and whistles of the big pro haunts, but for $5, it delivers all you could want - and more. 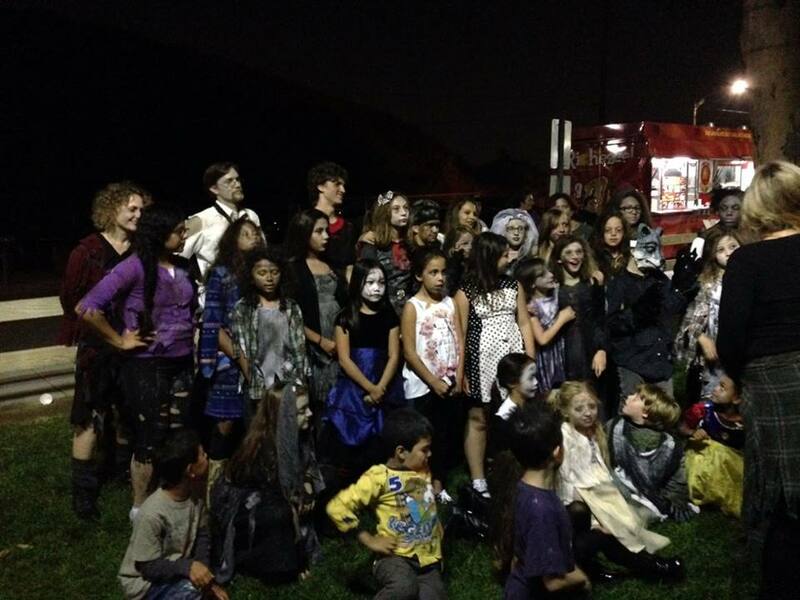 Burbank Haunted Adventure continues in the Starlight Bowl at the Stough Canyon Nature Center on October 15 & 22. The address is 1335 Lockheed View Drive, Burbank. Hours are 7-9pm. Tickets are $5. Children under 6 are not allowed on the tour; children 7-12 must be accompanied by an adult. For more information, call (818) 238-5440, or visit: hauntedadventure.info. This year's Burbank Haunted Adventure is not a guided tour. Instead of being assigned a specific time and being led by a guide in charge of a large group, visitors line up to enter as soon as they purchase tickets. This speeds the line up considerably. The official address for the haunt is 2300 Walnut Avenue, but you need to turn from Walnut onto Lockheed View Drive to reach the event and its parking lot. Imagination and enthusiasm fill the Starlight Bowl with family-friendly Halloween frights.